The last few days of Cassini’s life will allow scientists to understand Saturn from the inside out. After orbiting and exploring the Saturn for nearly 13 years, NASA’s Cassini Spacecraft is less than three weeks away from committing suicide by plunging into the planet it has been documenting for more than a decade. The Cassini spacecraft which was launched 20 years ago, took about seven years to make it to Saturn’s orbit. Ever since its launch in 1997, Cassini has never failed to deliver what was expected of it. 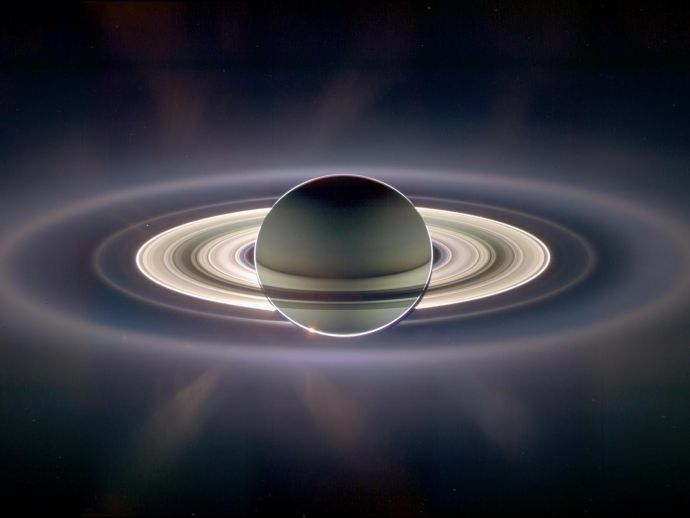 Since 2004, it has completed more than 290 orbits of the planet, delivering thousands of stunning images and making a plethora of new discoveries about Saturn, its rings, and its moons. On September 15th, early in the morning, the spacecraft will die by hurling itself into Saturn’s atmosphere at a speed of more than 75,000 mph. 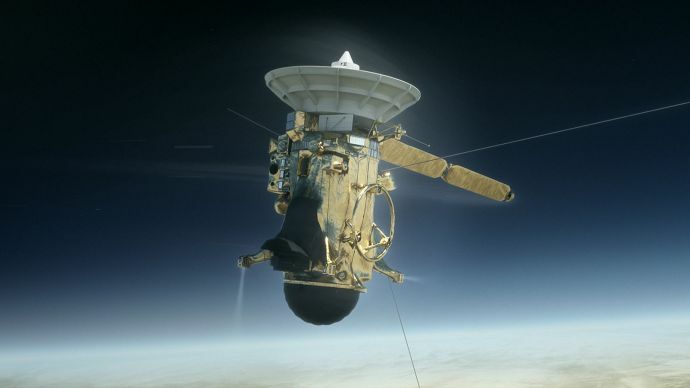 After plunging into Saturn’s atmosphere, within three minutes, the spacecraft will be torn apart and then it will melt and vaporize. However, before plunging to death, the Cassini will complete one final mission which was started in April, this year. The spacecraft will venture deep into Saturn’s atmosphere than ever before, collecting brand new data and beaming it back to the Earth. After doing a close flyby of Titan, one of Saturn’s moons, Cassini will complete a series of weekly dives between Saturn and its rings. According to Spilker, the last few days of Cassini’s life will allow scientists to understand Saturn from the inside out. This will include obtaining more information on the composition of Saturn’s atmosphere, the interior of the planet and the age and size of its rings. Over the last 13 years, documenting Saturn, Cassini has discovered a plethora of new information. It has discovered plumes of water ice on the moon Enceladus that confirmed the presence of methane and ethane lakes and rivers of water on Titan. These discoveries have shown scientists “how prevalent and common life beyond Earth may truly be,” said Curt Niebur, a Cassini program scientist. 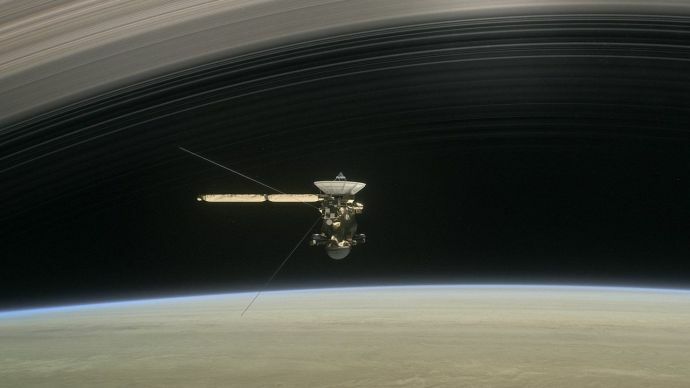 Researchers controlling the spacecraft have watched through Cassini how the seasons change on Saturn, witnessed a massive storm on the planet, discovered six new moons and also revealed complexities in the planet’s rings that had never been seen before and that its rings are slightly less massive than expected. Although the spacecraft’s instruments continue to work flawlessly, its gas tank is running out of rocket fuel and this will forbid the researchers from being able to control where the spacecraft goes. The mission planners decided to crash Cassini into Saturn to avoid any risk of contaminating Enceladus and Titan, as it was revealed through Cassini’s findings that the two of Saturn’s moons could harbour the ingredients necessary for life and NASA wants to avoid the potential situation where the spacecraft collides with the moon, hindering the future search for life there. That’s why NASA has decided to plunge Cassini safely on Saturn. “Who knows what new mysteries the next two weeks will bring,” Spilker said.